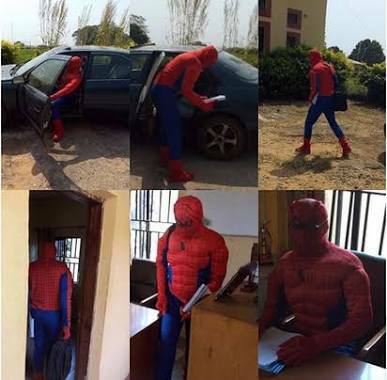 A lecturer of Anambra State University, now known as Chukwuemeka Odumegwu Ojukwu University, wore Spiderman costume to teach students during the ongoing strike by ASUU across Nigeria. The man was pictured coming out of his car and walking into class on Wednesday, December 5, 2018, for a lecture with his postgraduate students. acknowledge students who called his real name, pretending to be Spiderman. 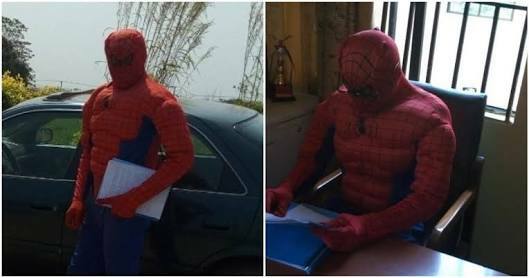 According to reports, he had earlier told his students, who wanted to have a final discussion with him ahead of their project defence, that they should await the coming of Spiderman to assist them in their final preparations.